150105 Monday Enterprise 3James Neiss/staff photographerNiagara Falls, NY - Book Sale: For only 25¢, normally a buck, Laurie Pelkey and her companion David McMahon fill a bag full of books at the on going Friends of the Niagara Falls Public Library book sale. 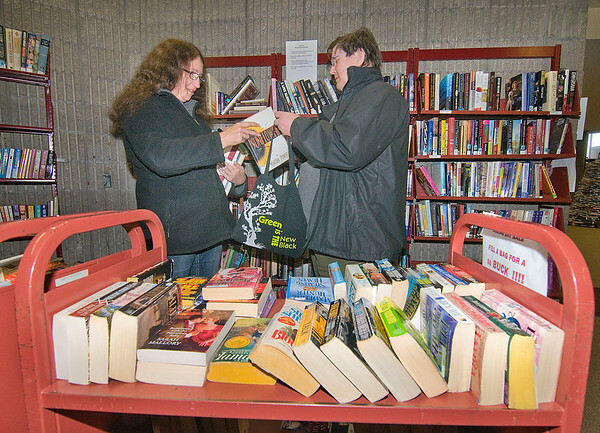 Monies raised from book sales directly support programs and library initiatives. Those wishing to donate their time and become a Friend of the Niagara Falls Public Library, or donate some books are asked to call 716-286-4911.